Sometimes moms see the never-ending laundry, dirty diapers, and skinned knees as relatively insignificant when compared to activities and callings that seem more important and lasting. But there is eternal value in even the most mundane moments if the Great Commission informs how we’re thinking about all of life, including what it means to be a mom. 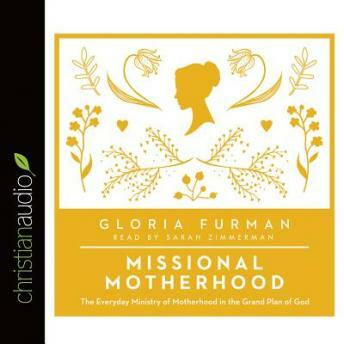 Tracing motherhood in the story of the Bible and drawing out key implications for moms today, Gloria Furman helps women live out God’s story of redemption in their daily lives as they nurture their children and joyfully share the message of the gospel with those around them.